This entry was posted in Uncategorized and tagged Abby Johnson, aborted fetus, abortion, abstinence, birth control, body parts, defund Planned Parenthood, Diane Rufino, Dr. Savita Ginde, fetal body parts, fetal tissue, fetus, George Mason, harvesting organs, Live Action, Mike Church, national sin, Planned Parenthood, pro life, sale of fetal body parts, scandal, unborn, videos. Bookmark the permalink. I have already received a comment (not on this site) from a liberal who wrote: “I am amazed at how anti-abortion folks use repulsive stuff to pump their cause.” The reader makes excuses for women who have late-term abortions and claims that they have legitimate reasons for doing so. The reader went on to misinterpret the Roe v. Wade decision as standing for the proposition that abortions are only allowable in the first trimester. Roe v. Wade is a horrible decision that had nothing to do with what the plaintiff “Roe” (not her real name) herself really wanted. The lawsuit was a vehicle for social change endorsed and funded by Womens’ Rights groups. The right of a woman to control her fertility (ie, to abort at will) was grounded in the social goal of giving women the unfettered opportunity to compete equally with men in the workplace. A woman, after all, could never compete equally with a man, when she is “held back” by pregnancy. That this was the true motivation behind Roe is no secret. You just need to read what Sandra Day O’Connor wrote and what Ruth Bader Ginsburg wrote and spoke in interviews. By the way, Ginsburg criticizes O’Connor for not going “far enough” with the decision to secure the right of an abortion under principles of Equal Protection. I don’t know how she would have done that given the language of the Texas statue at issue, but that is what Ginsburg said. As for the decision, it is not true that an abortion is only permitted in the first trimester. The decision only speaks to “trimesters” in terms of explaining the different interests at stake. As the decision discusses: In the first trimester, the baby is not “alive” and developed, so the right of a woman over her uterus and procreation is absolute. In the second trimester, there are “competing interests,” according to the Court. In the second trimester, the right of the woman over what happens with her uterus is balanced by the “state’s interest” in the baby’s life. In the third trimester, the state’s interest is supposed to control. While that breakdown seems all well and good, the decision goes on to say, in essence, that when a woman feels her health is at risk, her interests trump at all times. As if that isn’t enough, the decision says that even the mere “stress” that a pregnancy poses is enough of an “undue burden” and health risk that would rightfully warrant an abortion…. at any time. So, the decision basically stands for a woman’s unfettered right to an abortion at any time she no longer wants to carry the child inside her. 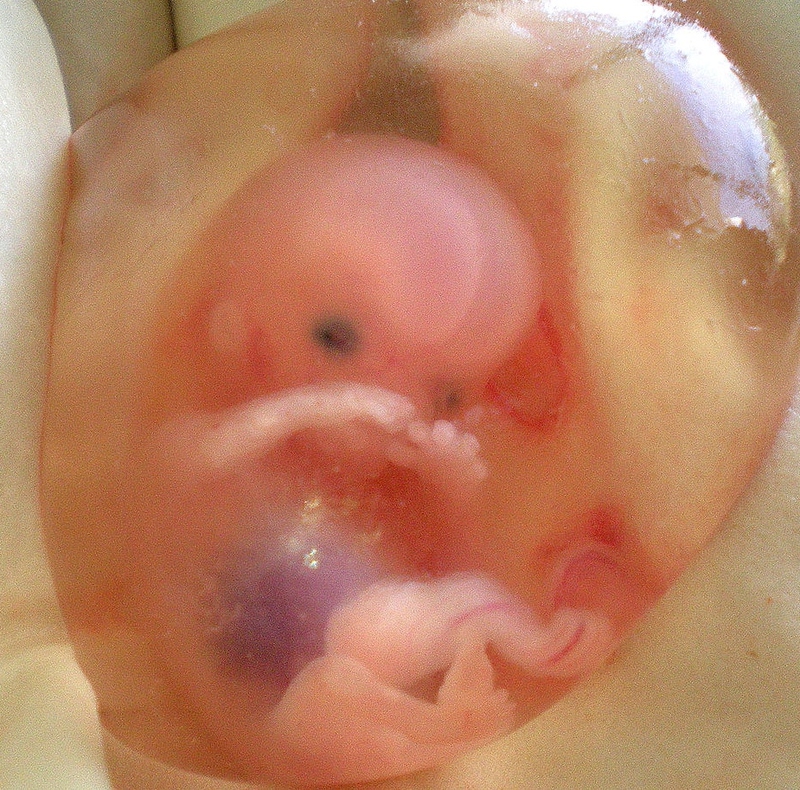 While there is only a fraction of people who believe that life begins at conception at abortion should never be allowed, most people believe that a woman should be able to terminate her pregnancy if for some unfortunate reason, that pregnancy was not planned – as long as the pregnancy is terminated upfront and while the pregnancy is still in the early days of cell division. But there is something inherently evil and morally reprehensible for a woman to allow life to take hold in the organ that God and nature have given her specifically for that reason and then to have it killed. There is no difference, in my opinion, in seeing the mangled, tortured bodies of dead Jewish children in the Nazi ghettos and concentration camps and seeing the mangled, bloodied fully-formed bodies of dead babies aborted because of “undue burden.” If a woman wants an uninhabited uterus – if she wants an abortion, I don’t think it is too much for a civilized society to require that she make that decision before the baby becomes viable. For the record, I am not categorically against abortion. I believe a woman needs the freedom and opportunity to terminate a pregnancy that was not planned. I am not naive to the fact that things happen, often out of our control, which we wish we could have prevented. And in the case of an unwanted pregnancy, the consequence has life-altering consequences. I just believe that while an opportunity should be available for women, it should not be abused. A woman should be expected to be able to make a decision about that pregnancy as soon as she learns of her condition. There is a period, as we all know, where the fertilized egg goes through a series of divisions without yet becoming a viable human being. In fact, when the egg is initially fertilized, there is a period of over 24 hours when it just sits there and doesn’t even go through its first division. That probably is because maternal and paternal DNA must go through its recombination phase to uniquely determine the genetic make-up of that “child.” I believe if we did our jobs as parents and as educators and as church members – without the dictates and mandates of government and the protests of socially promiscuous and degenerative groups – and if we walked them through the process of an abortion along with a discussion of what the long-term emotional effect it will likely have, then we might be able to cut down on the number of women and teens who needlessly put themselves in such a position. Giving life is the most precious gift that God has given to women. Only under the right circumstances can she truly appreciate that gift and that experience.